Immediate relative vs family preference category	U.S. Family Sponsorship	U.S. 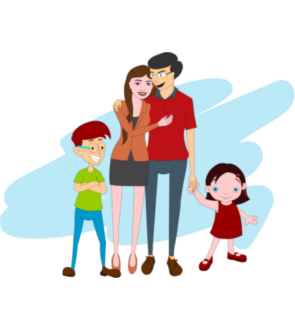 Immediate Family Sponsorship	U.S. Family Preference Sponsorship	Family Sponsorship to the U.S. This type of visa is provided for close family members of the U.S citizen. This category allows more distant relatives to enter Canada. There are minimal limits in this category. The number of immigrants that may enter this category is not limited. There are limits on the number of immigrants that may enter under this category. Each sub-category has a numerical limit. The relatives in this category are given priority, and they may be able to avoid visa lines. Process may take longer, and there are only limited numbers of visas available. · Family first preference: unmarried children and their minors.